​This is NOT a good look for ​Yankees fans, or the fine folks running security at baseball's cathedral in the Bronx. Sure, it's been a wild Game 4 at Yankee Stadium, with New York's postseason run hanging in the balance. Despite the rivalry involved, this just can't be acceptable. Period. 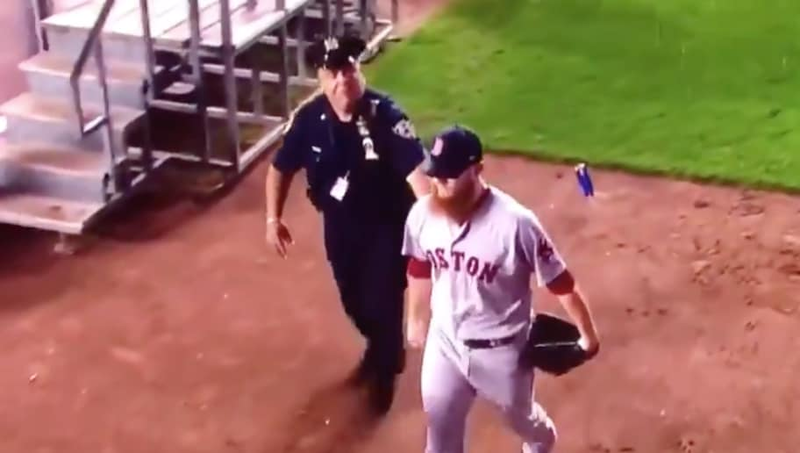 As ​Craig Kimbrel came out for the bottom of the ninth, a fan threw what looked like a fully loaded beer can into the bullpen, in the hopes of hitting the Red Sox closer. We're not sure what level of drunk you need to be to try such a stunt, but please be better. TV caught a flying beer can narrowly missing Kimbrel as he left the bullpen. There's just no room for this in the game.